Check out all of our webcams! March 6, 2019 -- If you've seen the renderings of the Hollywood/St. Paul's Library, then you know it looks like a massive ranch-style home. And what does every great ranch home need? A great patio! This is the start of ours. 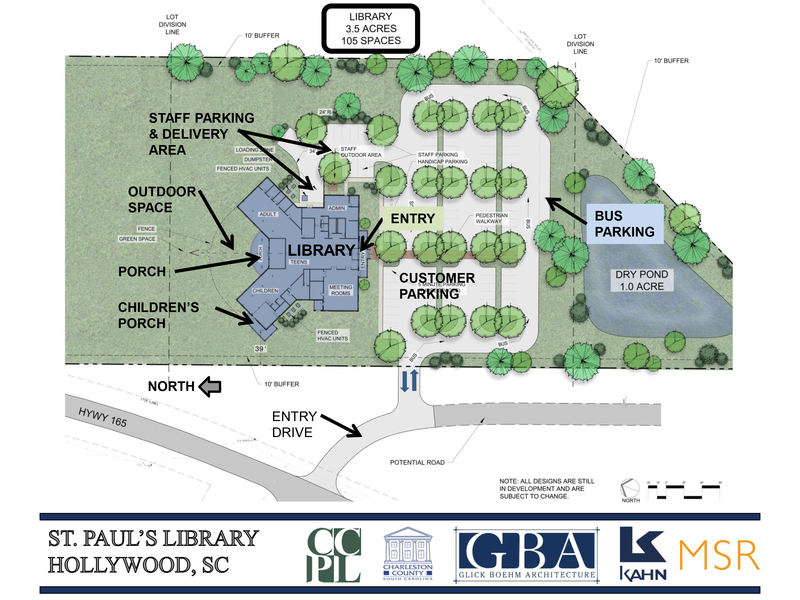 March 6, 2019 -- What do books and our new library have in common? They both have "spines"! Check out the steel framing for what will be the central spine of the library and will make up the main lobby of the building. March 6, 2019 -- This crane is used to install the steel trusses that will support our new Hollywood library.